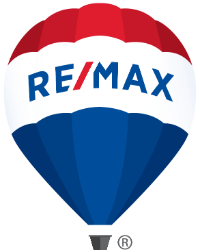 Originally moved to Steamboat in 1979, and with over 25 years real estate experience, Stephan definitely knows the market. Stephan has extensive experience with 1031 exchanges, land developments, condominium developments, high-end spec and estate properties and ranches. Stephan’s achievements include membership in the RE/MAX Hall of Fame and is a recipient of the prestigious Lifetime Achievement Award. 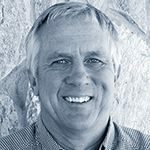 He is a Certified Residential Specialist, and has been involved in many of the largest transactions in Steamboat Springs. His commitment to his profession is unmatched in Steamboat Springs; he is dedicated to your best interests, his performance is second to none, and you’ll be sure to get the results you desire. Working with Stephan is working with a professional; he knows what to do and how to get the job done. “It is my pleasure to wholeheartedly recommend Stephan Baden for real estate. My husband and I had vacationed in Steamboat for over 20 years and owned a timeshare but this was our first time looking for a home – our dream retirement home to spend the rest of our lives in. Stephan was highly recommended by a couple friends that had moved to second homes from a timeshare. While visiting we would spend an afternoon off and on with Stephan when we had a little time and the weather wasn’t perfect for enjoying the outdoors. Stephan patiently guided us through the different areas and developments and their characteristics as well as their relative values. When we decided we were ready to buy, Stephan continued to show us properties in a variety of areas, carefully listening to what we liked /disliked about each until he could help us narrow our focus and find commonality between myself and my husband. With Stephan’s guidance we realized that what my husband and I valued most was a beautiful, expansive view.